As we approach the season of Advent and look to a new Church year, I want to take this opportunity to share some news with you about our future together with Western New York and a time of sabbatical for me. As you know, I completed four and a half years as Bishop provisional of the Diocese of Bethlehem in September. I am so grateful for the experience and for the gifts our diocese shared with our brothers and sisters in Eastern Pennsylvania. 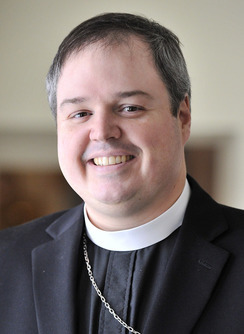 Last week, our two dioceses approved an arrangement whereby I will serve as the Bishop provisional of the Diocese of Western New York and remain bishop in this diocese for five years beginning April 5, 2019. This move made history in The Episcopal Church as the first such experiment structured in this way. Leave it to the good people of our region to take a risk in leading the Church. In preparation for this new season, I will take a time of sabbatical beginning December 3 and ending February 24. This will be a time of reflection, prayer, discernment, and continuing education. I plan to disconnect from the life of the diocese during this time and appreciate your understanding. As you are aware, the diocesan administration is in good hands. The diocesan staff is prepared to address the day to day operations of the diocese and meet your needs. These past 11 years as your bishop have been a joy-filled privilege. I look forward to the next season with great anticipation. This entry was posted in Bishop Sean, DioWNY and tagged Bishop Rowe, Bishop Sean, Sabbatical. Bookmark the permalink.